When I was a kid, I used to love riding around my neighborhood on my bike. Every day I would take it out and head to my friend's house, or the store, or just ride for an hour or so for fun. Now that I have kids of my own, I want them to have the same level of freedom that I did. However, when I was looking at different options, I came across electric scooters, which seemed like such a cool idea. Instead of pushing yourself on a regular two-wheeled scooter, you can now power up your device and race around the neighborhood in style. As soon as I saw these, I knew that my kids would love them. With that in mind, I created a list of the top electric scooters on the market today. Some of these are perfect for children, while others are meant for everyday use, such as riding around campus or heading to your job (provided that you live relatively close). Thus, no matter what your needs are, you can find a scooter that will do the work. Before you can look at these devices, you need to understand how to compare them. 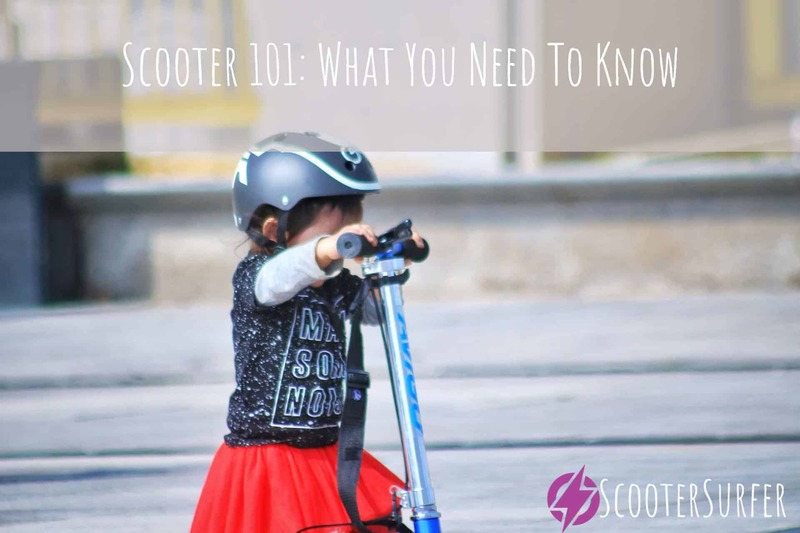 After all, if you don’t know what is important, then how can you tell which scooter is the best for your or your kids? For your convenience, I’ve listed out the top four factors that you should be paying attention to when you make your final decision. For your convenience, I’ve listed out the top four factors that you should be paying attention to when you make your final decision. Are you looking for something that your seven-year-old can use to ride around the block a few times? Or are you in the market for something a bit more robust that you can use for yourself? Depending on your needs, you will have to find a scooter with a motor to match. If you want something more casual, a 100 to 400-watt motor will suffice. However, if you need something more heavy duty, then you should be looking at the 800 to 1000-watt range so that you can get the torque and speed you need. Both of these things go hand in hand. For the most part, electric scooters are built to last up to one hour on a full charge, with many of them dying after only forty minutes or so. Thus, when you see a scooter’s top speed, you can figure that that will be your maximum range as well. Casual, fun models typically have a speed of up to ten miles per hour, whereas higher end units may go up to twenty or twenty-five. Thus far, I have not seen any electric scooter that has a longer range than twenty miles, so keep that in mind when you make your final decision. For kids, standing up on an electric scooter is no big deal. For us adults, however, we can tire out our backs after half an hour or so, which means that you will need a seat if you are getting a model for yourself. Some children’s scooters also have seats, but they are usually an electric version of the manual Razor that you’ve seen in the commercials. If you do get a model with a seat, make sure that it is padded and adjustable for your convenience. 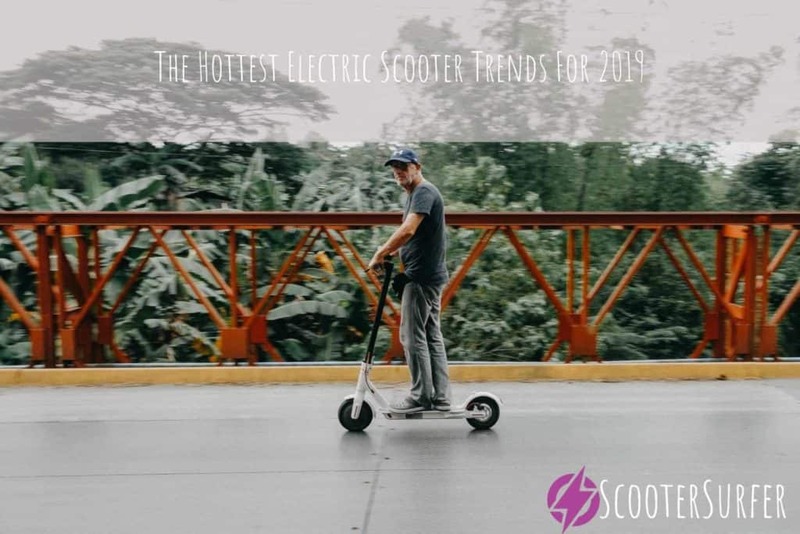 Because technology has advanced so rapidly, some electric scooters come with some extra features and accessories that can make your riding experience that much more enjoyable. Usually, this will take the form of an LCD or LED screen that will tell you your speed, mileage, and battery life, but some models go even further and offer lights, tassels, and other bells and whistles (sometimes literally). 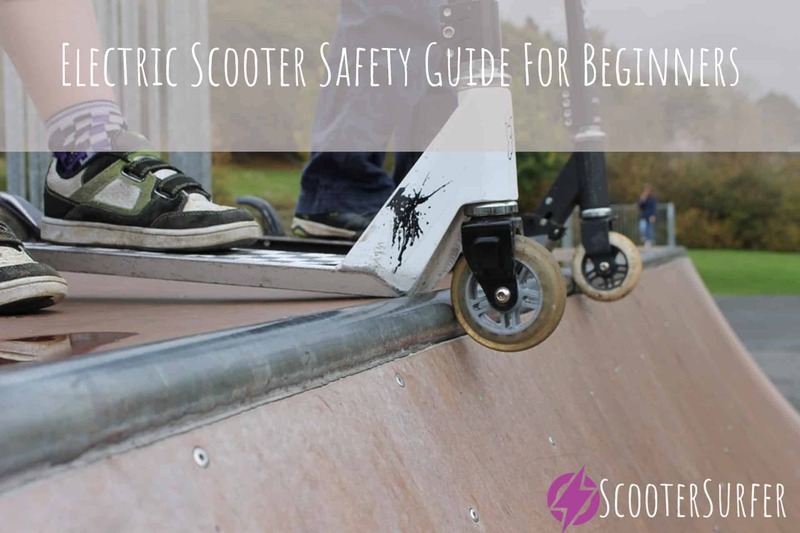 When looking at different scooters, you will want to make sure how important each of these additions is to you or your child, so you will know if the added price is worth it. If you’re looking for the best electric scooters for 2017, here are some of the top rated and reviewed products in the market today. Our first stop is the Razor Pocket Mod Mini Euro Scooter. 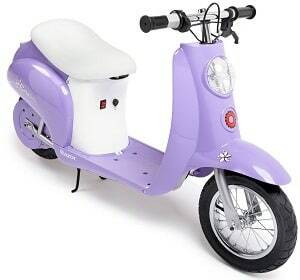 When you look at this unit, you can see that it is obviously inspired by the Vespa scooter, made famous by Audrey Hepburn in the 1940’s. That alone already makes this one a winner in my book, but it also has a bunch of features that make it more than worthwhile for your kids. As far as performance goes, this scooter comes with a chain-driven electric motor that can operate at speeds up to fifteen miles per hour. When compared with other scooters of this size, that’s a pretty great speed. With that in mind, however, the battery can only last up to forty minutes on a single charge, which means that you get a total range of about ten miles or so. The ride itself is smooth, due in part to the large, twelve-inch tires. 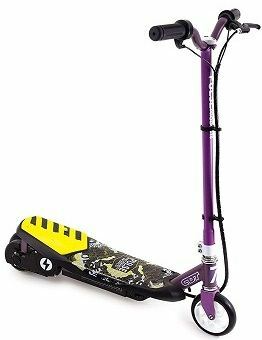 These are air-filled, meaning that they can handle almost any terrain, and the scooter comes with a dual suspension system to make things even easier. 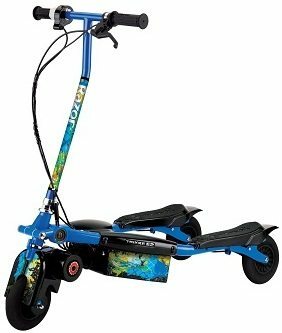 Other features of this scooter include storage underneath the seat, a hand operated braking system, a twist grip accelerator with three gear speeds, and finally it comes in five exciting colors, meaning that you can find one that matches your kid’s style and personality. The scooter also comes with a ninety-day limited warranty. 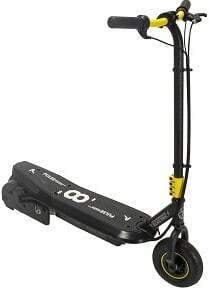 When looking at different scooters, most of them look and feel like a standard model that has a motor attached to it. Case in point, the Swagger Electric Scooter looks exactly like a non-motorized version, except that it can power you up to speeds of fifteen miles per hour. What sets this particular model apart from the pack is that, despite its size, it can hold up to 250 pounds, which means that it’s perfect for both kids and their parents. 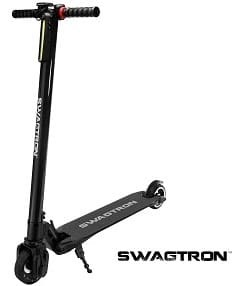 When talking about performance, the Swagger Scooter comes with a powerful battery and a chain-driven motor. As I mentioned, you can go up to fifteen miles per hour, which means that your total range is the same, as you can ride for up to an hour before you have to recharge the battery. Thankfully, charging doesn’t take very long, and you can be back on the road in less than two hours. The other thing that is cool about this scooter is that it has variable cruise control. With most electric scooters, you have to control the throttle to maintain your speed, but not so with the Swagg﻿﻿er Scooter. In fact, you even get an LCD screen that tells you your distance, speed, and battery life so that you can stay on top of everything and won’t have to worry about stopping suddenly. Finally, this model folds in half for easy storage, and due to the carbon fiber frame, it weighs less than twenty pounds. As we move down the list, we’re going to see some more powerful scooters appear. If you’re in the market for something that can be a transportation alternative, then the IMAX S1 can be a great find. With a 500-watt motor and a 480 Wh Lithium-Ion battery, you can do a lot with this scooter. What is remarkable about this particular model is that it has a much broader range than most other units that are out there. The IMAX has a top speed of twenty miles per hour, and since you can ride for an hour without recharging, that means that you have a similar range. Thus, if you work within that distance from your house, you could theoretically drive this scooter to your job. Since recharging only takes three hours, you can be fully juiced up in both directions. The other thing that makes this scooter viable as a means of transportation is that it comes with an interactive LCD screen, which tells you your speed, how many miles you’ve gone, and what your current battery life is. With a twist throttle and durable mechanical disc brakes, you have something that can get you from point A to point B with ease. Our next stop is the EcoReco M5 E-Scooter. This is a more high-end model than most of the ones on this list, but it does have a lot of power and performance, and because it can be used as a means of transportation, you could say that the higher price tag is worth it. What sets this particular scooter apart is the quality of the electrical components. 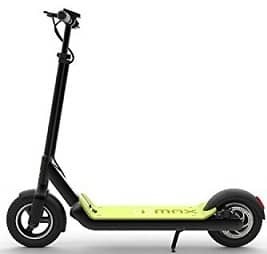 According to the manufacturer, the powerful battery can be recharged and used over two thousand times, which means that you can get a lot of mileage with this scooter. As far as speed and distance, you get a top speed of twenty miles an hour and a similar distance range. That means that you could potentially drive this to work if you want, or at least to the corner store. Recharging the battery only takes four hours, meaning that you can be back on the road in no time. Your ride will also be made much smoother by the addition of ten-inch pneumatic tires. They have thick treads, making them ideal for any surface, including inclines. You also get an LCD screen so you can track your distance, speed, and battery life as you go. Finally, this particular scooter folds in half for easy storage and comes in two different colors. For those who want an electric scooter for commuting, you can look no further than here. The Super Turbo Elite Scooter is about as powerful as you are going to get, and it is purposefully designed as a means of transportation, rather than a toy with which to be played. When you look at this scooter, it seems like it would be more at home on the street than on the sidewalk, and the powerful motor would have to agree with you. As far as scooters go, the Super Turbo has the best overall performance. A 1000-watt brushless motor works in tandem with a 36-volt battery to deliver top speeds of up to 26 miles per hour. Unfortunately, if you ride at top speed, you will only get about 45 minutes of drive time, which means that this particular scooter has a range of twenty miles. Still, that’s not bad. The ride will also be much more comfortable with the addition of a thick padded seat. You can adjust the seat height to match your needs, and the padding ensures that you will be comfortable all the way to your destination. Other features of this scooter include a hand braking system, dual suspension, a front headlight, all terrain wheels, turn-key ignition, and a twist throttle. Overall, you have everything you need to make this your go-to method for commuting. After the raw power of the Super Turbo Scooter, we are going to come back down and look at some more models that are designed with children in mind. Our first Pulse Performance Scooter is the Reverb, which comes with a suitable 100-watt motor and a top speed of ten miles per hour. That makes this particular model ideal for riding around the neighborhood, but not so much as a commuter scooter. The weight limit of 120 pounds also means that it is just for kids. 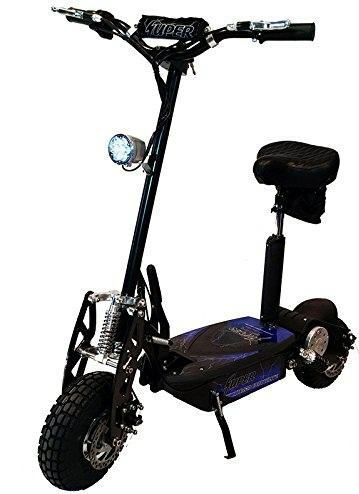 As far as your child is concerned, this scooter should be more than adequate for his or her needs. 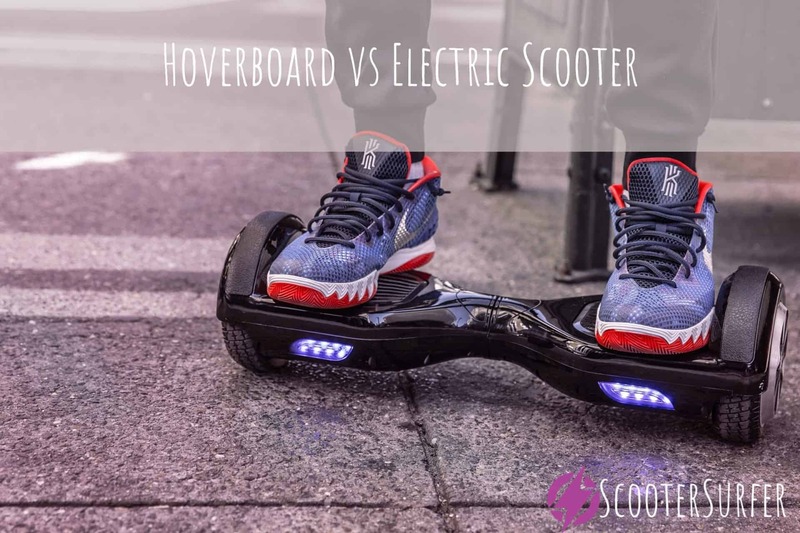 It comes in two dynamic colors; you can ride on it for up to an hour (for a range of ten miles), and it comes with a wider deck for better stability. The biggest difference between this model and the other ones on this list is that the wheels are made of plastic. That means that you don’t have to worry about getting a flat, although the tradeoff is that you cannot drive over rough terrain, such as grass or gravel. Our next scooter from Pulse Performance is the S﻿onic XL. This is an upgrade from the Reverb model, which you can see by the improved motor and the increased speed level. With the Sonic XL, you can go up to thirteen miles per hour with its 200-watt motor. This scooter also comes with a wide deck for stability, and it has a rear suspension system to keep things smooth overall. Unlike the Reverb, this model has air-filled tires, making it more suitable for off-roading on grass or sand. The Sonic XL can hold up to 150 pounds and uses a hand braking system for better stopping power. Our final scooter of the day is the Razor Trikke. Unlike the other models on this list, this scooter has three wheels. What makes the design so unique is that the deck splits into two, meaning that you place each foot over a single wheel. That allows you to turn and curve using your body motion as well as the handlebar, making your ride feel much smoother and more enjoyable. The range on this particular model is somewhat limited. It doesn’t have a powerful motor, which means that you can only go nine miles per hour, and your max distance is about seven or eight miles total. Overall, this scooter is great for casual riding around the block. With that in mind, the ideal age range is eight and up. When comparing these electric scooters, I feel that it is necessary to split them into two groups. First, some models are designed for children, and second, some of these are built to hold adults, as well as be viable transportation alternatives. With that in mind, I’ll give you my top picks for each category. For children, I would highly recommend either Razor Scooter (the Vespa inspired one or the trike), as well as both Pulse Performance models. Each of these units is ideal for children and can give them independence and freedom without you having to worry about the motor breaking down or stopping suddenly. For adults, I would strongly suggest you get either the Eco2 or the Super Turbo Scooters. Both of these are built to deliver results, which means that you can take them on the street and commute to work, the store, or ride around your college campus. The powerful motors and long ranges of these scooters are second to none.